The Government of Tanzania, with the support of the Multilateral Investment Guarantee Agency (MIGA), is developing a marketing strategy for attracting investments in conservative and tourism activities in the Southern Region of Tanzania, that will be funded with a USD 100 million loan from the World Bank. MIGA, as a member of World Bank Group, seeks to promote Foreign Direct Investment (FDI) by the development of strategies with developing countries, in order to support economic growth, reduction of poverty, and improvement of living conditions. Tanzania’s Deputy Minister for Natural Resources and Tourism, Mr. Mahmoud Mgimwa, explained that the strategy is a five year plan that through marketing media with CNN International, BBC London, and advertising in the Sunderland FC’s stadium from the English Premier League, aims to place Tanzania among the premier tourism destinations in the world. In, recent years Tanzania has focused its tourism marketing and budget efforts in the Northern Region, something that left the Southern region without enough promotion, despite its vast attractions, explained Mr. Mgimwa. Recently, tourism has been one of the fastest growing sectors in Tanzania with an average yearly growth rate of 5.5%. In contrast with other countries, where the tourism sector is volatile and earnings stay overseas, Tanzania has experienced a straight growth in the last 10 years with long-term jobs creation. 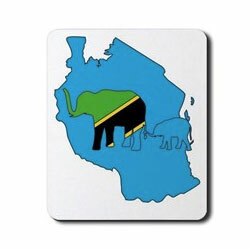 The current strategy plan, seeks to raise Tanzania’s image in the world to earn reputation as a higher priced destination. Previous plans developed with MIGA’s support, helped the country to grow leisure international arrivals at a yearly average rate of 12.5%.